*Limited time offer and new members only. Compared to the price of four 6-month memberships. and many other universities, K-12 schools and Confucius Institutes around the world. You can read what some of the Chinese learners and teaching professionals have said about us on the User Testimonials page. If you have benefited from our site, we ask you to consider becoming a registered member. We accept online payments through PayPal. If you don't have a PayPal account or don't want to use PayPal, you can follow the instructions in question #7 of our FAQs page to make a purchase using a credit card. You can also mail us a check or money order. Generate worksheets that have stroke sequences, Pinyin, radical and English definitions for individual characters, radicals and even character strokes. You can generate this type of worksheets for any characters in the system and all the strokes used in modern Chinese. 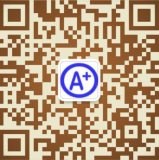 Create and print hardcopy Chinese character flashcards or Chinese word flashcards on perforated business card paper (or regular paper) for offline study. Create Chinese word or sentence scrambles for use in the classroom or at home. Easily create Chinese Word to Picture Matching Worksheets for young learners. Add images automatically to your vocab list and view this site free of advertisement. Listen to studio quality, native speaker audio recordings of the characters, words, phrases and example sentences. Created by native speaker Chinese teachers in the United States, our example sentences cover most of the common Chinese characters, phrases and sentence patterns. Use our unique Chinese worksheet maker to generate Chinese Chinese word worksheets with character details, including stroke sequences, radicals, and character structure information. Chinese students can use the worksheets to practice Chinese words and individual characters at the same time. Create Chinese character cards and posters with pictures for classroom and homeschool use. Use Chinese Sudoku Puzzle Creator tool to generate Chinese number or character Sudoku puzzles. Use Four-in-a-Row Word Game Board Creator to create engaging Four-in-a-row board games to learn Chinese words. Use Snakes and Ladders Board Game Generator to createa a custom Snakes and Ladders board with your words of choice. Create Chinese word or Pinyin search puzzles using your own Chinese words or Pinyin for young learners with our Chinese Word Search Puzzle Generator. Besides Chinese words and Pinyin, you can use this tool to generate word search puzzles to learn vocabulary of other subjects as well. Use our Chinese Character Poster Maker to create stylish Chinese character wall posters with any Chinese characters. They look great on display in the classroom or at home. Use Chinese Character Agamograph Maker to create your own Chinese character and picture agamograph activity sheets for your Chinese class. Use Chinese Character Animation Maker to generate embeddable and interactive character animations for both simplified and traditional Chinese characters. You can seamlessly integrate the animations into your school or personal web pages. Use Pinyin Practice Sheet Maker to generate Pinyin practice sheets for Chinese learners who haven't yet started learning Chinese characters. Allow you to generate Chinese sentence making worksheets using our Sentence Making Worksheet Creator. Download the MP3 recordings of the characters, words, phrases and example sentences. Quickly generate custom Bingo cards and randomized call sheets with your own Chinese characters and words. Further, you can use the Bingo card generator to generate traditional 5x5 number bingo cards for parties, nursing homes or other educational bingo cards to support and reinforce lessons in mathematics, language arts, science, social studies, and just about any area of the curriculum! Use Sentence Translation Game Board Maker to create custom sentence translation game boards with a list of Chinese sentences or phrases. By playing this fun Chinese sentence translation game, the students can learn and reinforce Chinese vocabulary and sentences. Use Roll-and-Read Game Board Maker to create a custom Roll and Read game board with a list of Chinese characters or words. Save your flashcards, Bingo word lists and word worksheet data on Arch Chinese secure servers so that you can reuse the word lists in the future. Look up and use the vocab lists created by fellow teachers or Chinese learners. One click to show the characters with the same phonetic component. Export pre-made vocabulary lists from popular textbooks and official Chinese Proficiency Test(HSK) and your own vocabulary lists, so you are not tied to our system. Grab characters and words from Arch chinese Chinese English two-way dictionary to create your own word list, study them on the flashcard program and then generate word worksheets or paper flashcards. Request new features to meet your learning needs. Any users can make feature requests, but the requests from the registered members are addressed first. Click the PayPal Subscribe button to subscribe. The transaction takes only a few seconds to complete, and PayPal's electronic payment service is secure and completely free for those who send payments. The subscription-based membership will be automatically renewed for you at the same rate as your original subscription until you cancel. If you are a school teacher or preparing for the HSK test, you may want to subscribe as a premium member to get more powerful features, flexibility and convenience. Schools typically reimburse your membership fee. You can email us to request your membership invoice. Alternatively, you can use PayPal or your credit card to purchase a one-time, non-renewable membership. Our FAQs page provides the detailed instructions on how to purchase a membership without using PayPal. If you want to purchase multiple memberships for a school in one transaction, please select the membership type, click the Buy Now button below, and change the quantity from 1 to the number of memberships you would like to purchase. Once the payment goes through, one of the serial keys will be sent out instantly. You will receive the additional serial keys shortly. After the payment is made, you will receive a serial key from membership@ArchChinese.com instantly. You can use the serial key to generate worksheets, printable flashcards, Bingo cards and gain access to other resources in the system. If you do not receive the serial key within ten minutes, please check your spam folder in case the membership email was delivered there instead of your inbox. If it is not in your spam folder either, please contact us. If you need a membership invoice, please let us know. Thank you for your support!